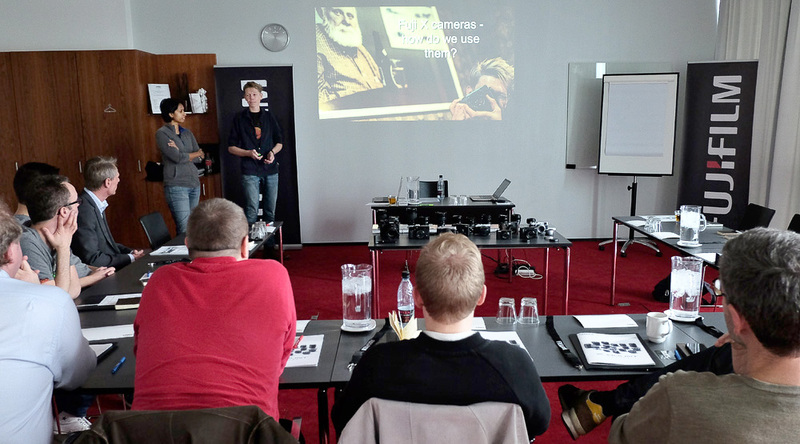 Charlene and I doing our presentation of how we use our Fuji cameras, showing our work. Picture by Ib or Kalle from Fuji. After several months spent being a domestic-jedi in Singapore, I spent the month of March in Copenhagen. 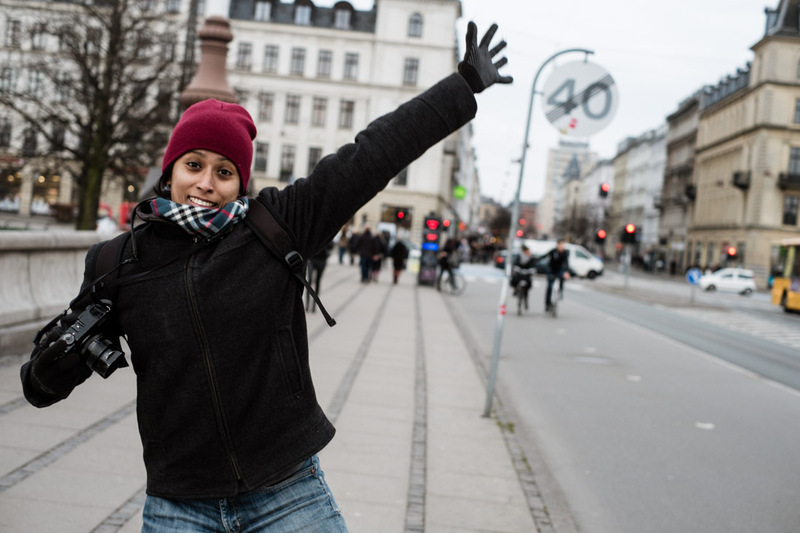 It was awesome to be on the road again and be back in – slightly cold but – magical Copenhagen. 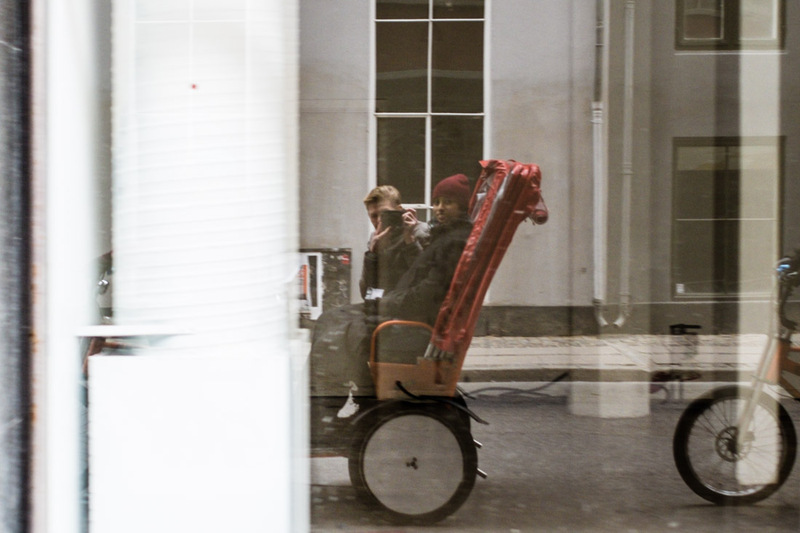 And it was wonderful to see family and friends again, ride my bicycle, and work for some of my favourite companies, Fujifilm and Red Bull Studios Copenhagen. On the 22nd of March, Fujifilm Nordic held an ‘ambassadors’ event for the 5 largest dealers in Denmark and Charlene and I had the pleasure of being part of the entire day. We presented our work and talked about how and why we use the cameras to shoot both commercial and personal work, and later in the day we ran a workshop for all the participants. 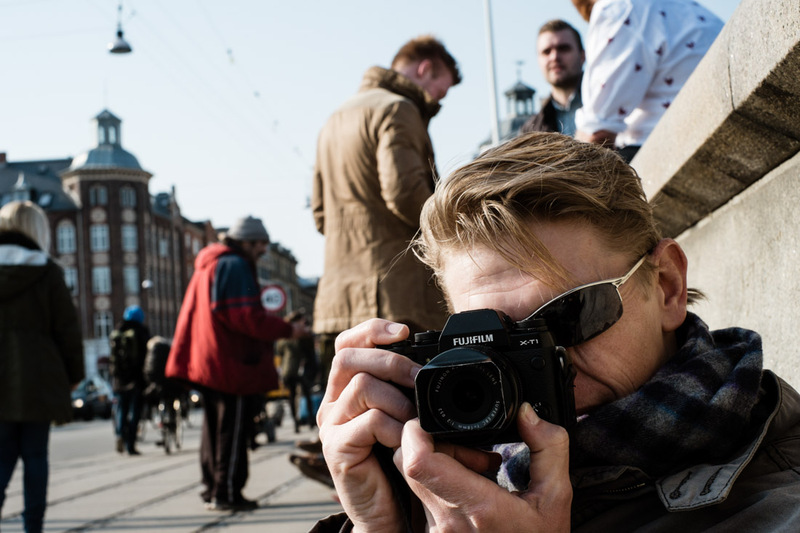 They all got to grab whatever Fuji gear they wanted and then we took off to shoot the streets of Copenhagen. Everyone was really into this workshop, actually so into it that at one point Ib from Fuji and I could not find any of the others, and we jokingly wondered whether they’d ever return with the gear! 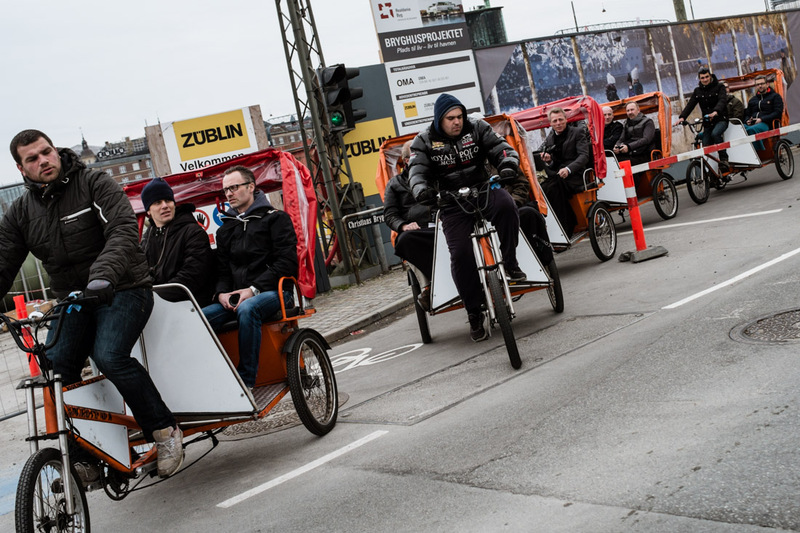 Our mode of transport to and from the hotel and the Hipster Bridge area where we photographed, was by The Flying Tigers rickshaw services. It was a very cold day, but everyone including the sick-as-a-dog Charlene braved the elements, had a wicked funny rickshaw ride and hats off (not really, too cold!) to the great drivers! After the workshop we went back to the conference hotel to give feedback on the results and pick the winner of our competition – make a portrait of a stranger. We ended the 12 hour day with a very nice dinner. I have done some public talks about my life and photography before and find it surprisingly easy (actually you’d be hard pressed to shut me up), but it was an entirely new and very wonderful experience to get to present our work together and I hope we get many more opportunities to do this. We had spent quite a bit of time preparing our presentation and it went well and was a real pleasure talking passionately about ourselves, our lives, the cameras we love and the pictures we make with them, as global gypsies. Finally, as mentioned earlier, Fuji Nordic presented me with an amazing early birthday present – a Fuji XT1 camera – that made me an extremely happy time-traveler! 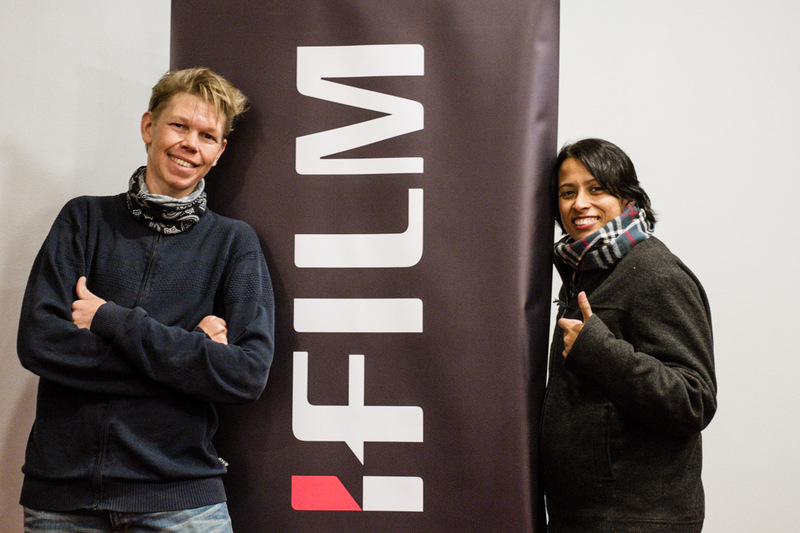 It was an absolutely wonderful day, a big thank you to Fujifilm Nordic and all the participants. 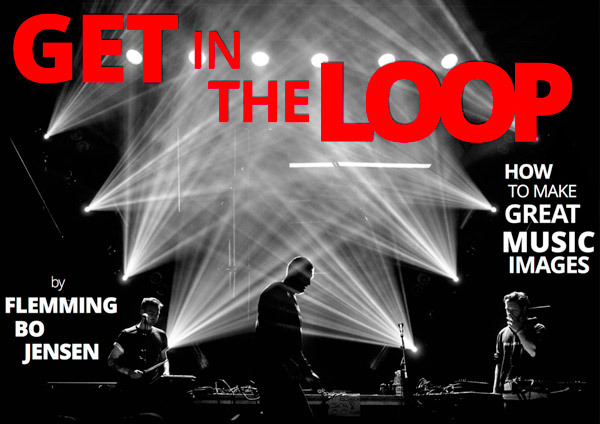 I am extremely happy to be working with and representing Fujifilm Nordic, we have a super collaboration going and we are all so excited about doing events like this. We look forward to working with Fujifilm on many more exciting/funny/crazy/amazing projects together. Ok it’s really cold and I am trying to stay warm, but Copenhagen and Fujifilm are so awesome that you must take my picture! Hanging at Hipster Bridge with my early birthday present (shot a sunny Saturday a week after the event). Picture by Charlene. Two very happy time-traveling Fuji X-photographers. Picture by Ib Thordahl from Fuji.